Synopsis: Richard Wright found a variety of sources of inspiration for his novels. 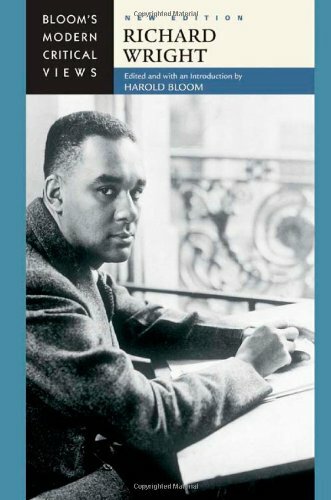 Marxist, existentialist, Freudian, and Black Nationalist learnings can be found in his enduring and much-studied works, including ""Black Boy"", ""Native Son"", and ""Uncle Tom's Children"". This collection of essays features an introduction by literary scholar Harold Bloom. Review&colon; "An excellent and balanced discussion..."
"The accounts offer students an opportunity to absorb serious analytical styles." .,. "excellent critical guide sets edited by Harold Bloom...recommended picks for audiences of young adults studying literature." "A publishing venture almost without precedent both in its scope and in the fact that it is guided by a single critical intelligence." "This collection of previously published essays, edited by the distinguished literary scholar Harold Bloom, is an excellent addition to the Wells critical canon." "Harold Bloom adds some fantastic critical literary guides, providing interpretations and issues that should reach a wide audience from adults to young adults at the high school and college levels."